Previous Post How to Know If Your Lawyer Committed Legal Negligence Next Post How Does PIP Work after a Car Accident in Florida? As soon as they can move around on their own, kids like to explore. Even if you’ve done a good job of baby-proofing your house, there’s a high likelihood that your child will still remind you of this. If you’re lucky, the reminder will be in the form of chewed up crayons or dog food spilled out all over the floor. If a child finds a weapon or other dangerous items, though, the consequences could be life-threatening. Take the recent story from Jacksonville of the 8-year-old boy who shot his 5-year-old sister with a handgun. While their mother was at the store, the boy found the gun, shot his sister, and also shot his younger brother. (Thankfully, the younger brother only suffered minor injuries.) When interviewed for the story, law enforcement officials did not know who the gun belonged to or how the child had gotten access to it. In that way, it sounds like many other stories in which children got ahold of their parents’ gun and caused serious injuries. If you are a parent and you have a gun in your home, get a safe immediately. This cannot be stressed enough. Put the gun away, separate it from the ammunition, and hide it outside of your child’s reach. Do not let your child become a statistic: one child is killed every two days in this country from unintentional or accidental gun violence. Alcohol – As beautiful as your wine rack looks, alcohol needs to be kept away from children. Even if your child doesn’t have an interest in drinking your 15-year-old scotch (yet), there’s still the chance that they could knock it off of the shelf. Then you have to worry about them getting cut up on the glass shards as well. Poisonous chemicals, including bathroom cleaners, medicines, and so on – If you wouldn’t let your child eat it, don’t keep it within their reach. Children explore with their mouths, and often don’t understand the harm that poisonous chemicals can cause. For example, prescription drugs can look like candy to children. Cleaners and other substances that contain hazardous chemicals should at least be labeled as “yucky” for children. Plastic bags – This may sound silly, but it’s far too easy for a child to suffocate or choke on a plastic bag. Twenty children die each year this way. When they’re old enough, talk to your kids about staying away from dry cleaning bags and garbage bags as well. Marbles, small toys, small game pieces, grapes – What do all of these items have in common? They can all cause your child to choke, which is a leading cause of death among children. Be cautious with them, especially if you have a newborn, very young child, or a child who particularly enjoys putting things up their nose. Not every parent, adult, or place of business is going to follow these rules. If your child is on a playdate or under the supervision of an adult that allows them to play around dangerous items, then they are at risk for injury or death. If your child is injured due to the poor supervision of another adult, it is important to talk to a lawyer immediately. Negligent adults may be taken to court for actions that lead to a child’s injuries, and you may be able to get the compensation you’re your child’s medical bills and other related financial losses. 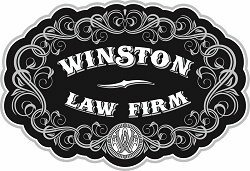 Andrew Winston is a partner at the personal injury law firm of Winston Law. For over 20 years, he has successfully represented countless people in all kinds of personal injury cases, with a particular focus on child injury, legal malpractice, and premises liability. He has been recognized for excellence in the representation of injured clients by admission to the Million Dollar Advocates Forum, is AV Preeminent Rated by the Martindale-Hubbell Law Directory, enjoys a 10.0 rating by AVVO as a Top Personal Injury Attorney, has been selected as a Florida “SuperLawyer” from 2011-2017 – an honor reserved for the top 5% of lawyers in the state – and was voted to Florida Trend’s “Legal Elite” and as one of the Top 100 Lawyers in Florida and one of the Top 100 Lawyers in the Miami area for 2015, 2016, and 2017.